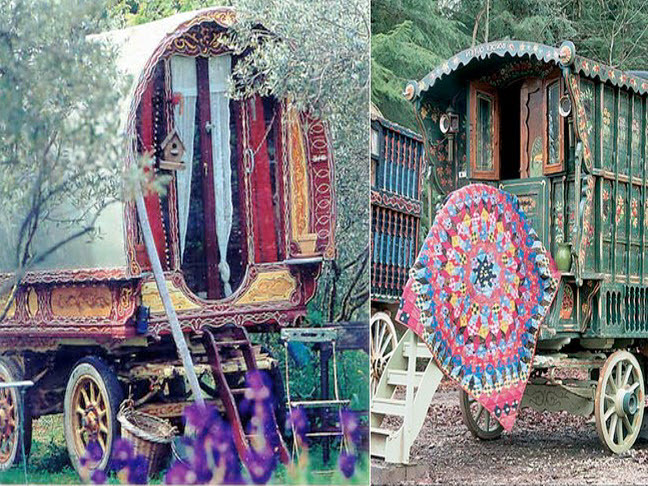 Whether used as a guest house, studio, or a playhouse to exceed a child's wildest dreams, a gypsy caravan will instantly transform your backyard into a mysterious world of its own. 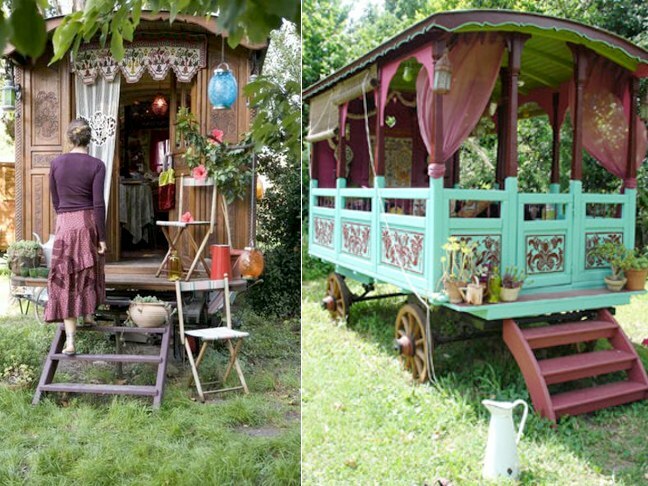 None pull this off quite as well as the caravans from Les Verdines, a French husband-wife design duo that restores old caravans and fills them with whimsical fabrics, colors, and authentic details. Born in a family of artists in the South of France,Jeanne Bayol left the countryside of Provence at a young age to study dress design a famous design school in Paris. She was quickly drawn back to Provence, opening a contemporary art gallery. It was there where she met her husband Jean-Marie, a fellow lover of gypsy culture, and they began the restoration of their first roulette. 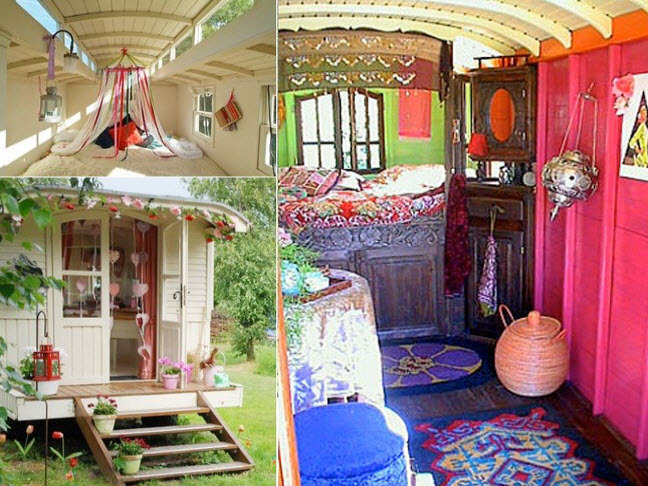 The interiors are where Jeanne truly comes to life, using her command of color to create the magical inner sanctum. No detail is left untouched: oil paintings, old photos of gypsies, Indian silks, quilts and patterns are all brought together by her masterful touch. Les Verdines attracts buyers from all over the world, who turn the caravans into everything from restaurants and boutique hotels to backyard guest houses. They've graced the covers of countless design publications and served as backdrops for fashion shoots with top celebrities. 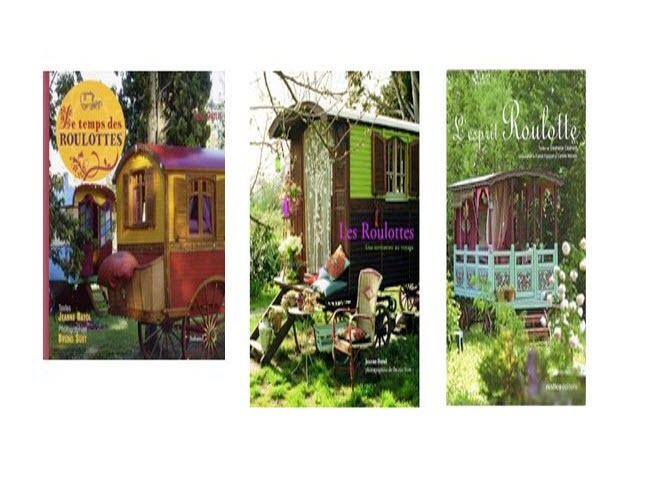 Even if you can't experience one firsthand, you can explore the magical worlds of countless gypsy caravans in the many books that Jeanne Bayol has authored on the subject (more information available on her website). 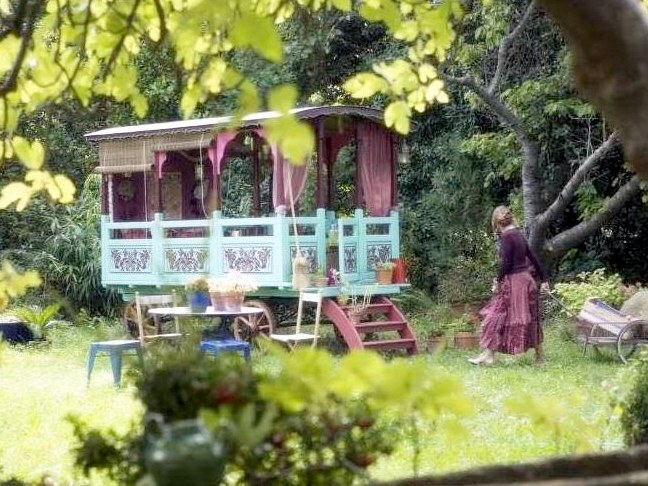 Visit the Les Verdines website to find out more about their lovely gypsy caravans.